acific Gas and Electric said it plans to file for bankruptcy protection amid potentially vast liabilities resulting from the deadly California wildfires. The announcement Monday, in the form of a filing with the federal Securities and Exchange Commission, follows the resignation of the utility's chief executive, Geisha Williams, a day earlier. John Simon, the company's general counsel since 2017, will serve as interim chief executive. 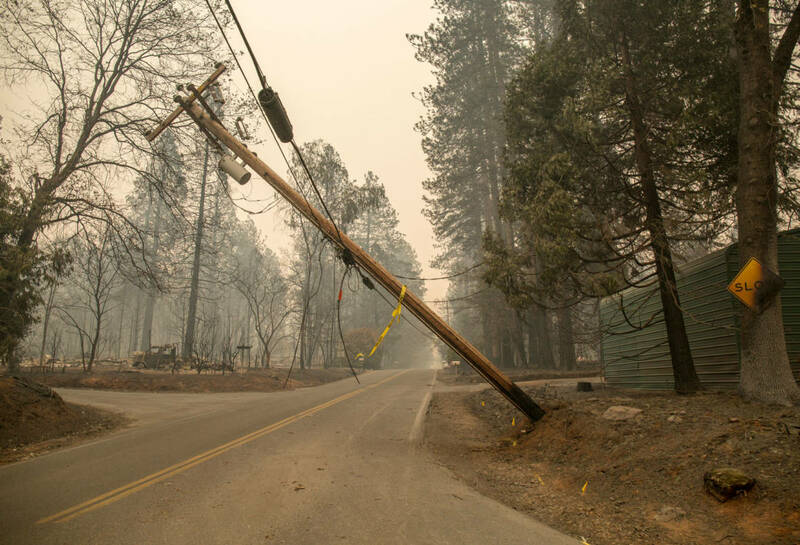 Officials are investigating whether the utility's equipment sparked the Camp Fire in November, a blaze that killed 86 people and destroyed nearly 14,000 homes. In addition, Cal Fire investigators have ruled that PG&E equipment was involved in at least 18 of the more than 170 fires that swept Northern California in October 2017. The agency found that the company may have broken state law in 11 of those incidents and referred the cases for possible prosecution. The utility says it is facing at least $30 billion in potential liabilities from the wildfires in 2017 and 2018. Those liability payouts could be delayed or reduced by a bankruptcy filing. 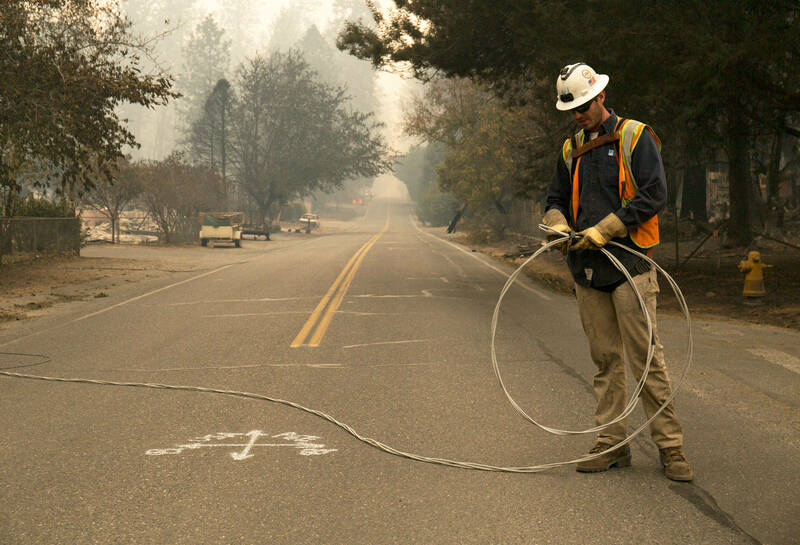 Among other uncertainties facing the company, PG&E said in Monday's SEC filing that it could be found in violation of its criminal probation imposed after a 2016 conviction for breaking federal pipeline safety laws. That case arose from the 2010 San Bruno natural gas pipeline blast, which killed eight people and devastated a neighborhood in the Peninsula suburb. The judge overseeing the company's probation last week proposed added conditions of supervision, including requiring the company to immediately undertake new inspections of its entire electrical system. In periods of extreme fire danger, the utility would also be barred from operating any part of its power grid that it cannot certify as safe. PG&E also cited recent decisions by ratings services to downgrade the company's credit to "below investment grade" — or junk — status as making it far more difficult to raise capital. The company added that it intends to skip a $21.6 million interest payment due Tuesday on one series of its outstanding bonds — a step that could lead to a default on that obligation next month. Nevertheless, the company said it will be able to gain access to capital and resources it needs to continue providing service to customers as it restructures. PG&E shares plunged 50 percent in Monday morning trading on the New York Stock Exchange. Chapter 11 of the federal Bankruptcy Code grants companies temporary protection from creditors while allowing a company's operations to continue. In the filing, PG&E stated the company is working with creditors and several large banks to ensure electricity and natural gas can be provided while bankruptcy proceedings progress. Experts say PG&E's announcement needs to be met with some caution as it does not mean a bankruptcy filing is a given. "Part of what PG&E is doing right now is bargaining with the state of California," said Michael Wara, director of Stanford's Climate and Energy Policy Program. "The company has, according to these filings, enough cash to weather six months to a year operating. But PG&E is unhealthy. It is a sick company. Fire victims will get cents on the dollar. Gov. Newsom will have to make this decision." Newsom released a statement urging the company to honor its commitments and debts to customers, energy suppliers and wildfire victims. During a press conference Monday afternoon Newsom emphasized that he has been speaking with PG&E representatives, and preparing for a possible bankruptcy filing with the California Independent System Operator and Public Utilities Commission. Newsom said that "the consequences of distrust and mistrust" between California and PG&E would not be helpful, adding, however, "I am not naive." The California Public Utilities Commission said in an emailed statement that in coordination with the governor's office and other agencies it "continues to closely monitor PG&E, including developments regarding its leadership, financial status, and legal filings, and is prepared to respond as appropriate." "The CPUC always takes care to ensure that the utilities can provide all customers electric and natural gas service," CPUC spokesman Christopher Chow wrote. "At this point, PG&E has sufficient resources to continue to safely meet its core responsibilities and obligations." 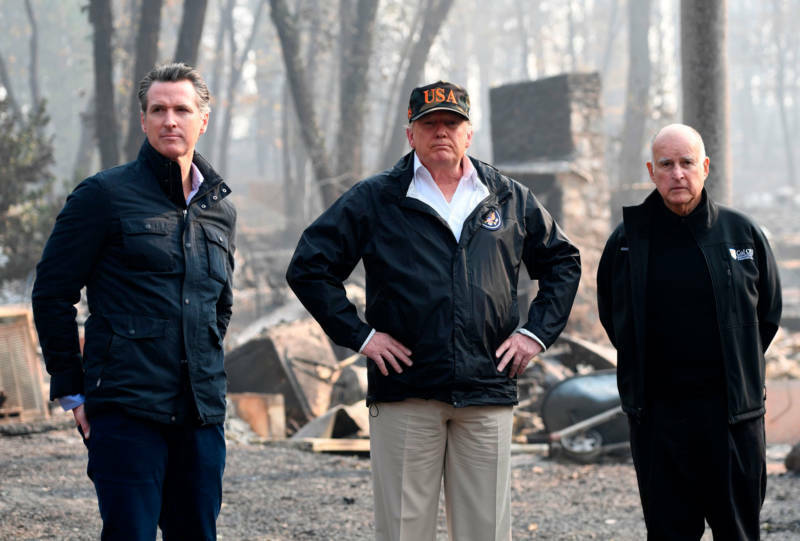 "I thought the state would serve as a buffer to this and make sure to work something out, as they did with 2017 fires," he said. Compared to other utility bankruptcies — like that of Texas's Energy Future Holdings, which took about a year of negotiating before the company formally filed for debt protection in 2014 — PG&E is moving into bankruptcy proceedings very rapidly. That should be a red flag for investors and court claimants alike, according to Douglas Baird, a law professor and bankruptcy specialist at the University of Chicago. "What you don't want is a free fall entry into bankruptcy," Baird said. "They hope to line up what's called 'debtor in possession' financing. They hope to do a lot of things. But free fall bankruptcy is not generally a good idea." PG&E bankruptcy rumors last week prompted the Cal ISO, which oversees the state's electrical grid and monitors the financial status of power companies operating in the state, to issue a statement late Friday assuring energy suppliers that the company had sufficient credit to meet its obligations. "The fact that Cal ISO had to say that was really concerning," said Stanford's Wara. 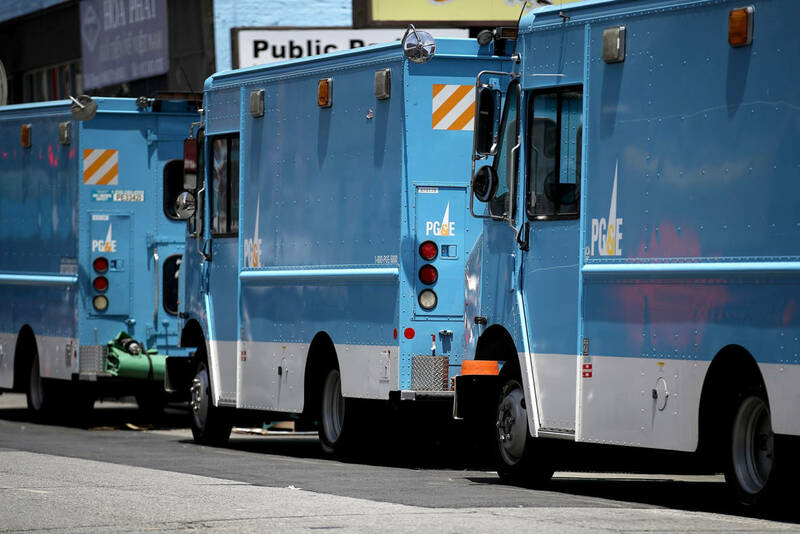 "Consumers should not be frightened when they hear that PG&E may decide to file for bankruptcy," Mindy Spatt, with San Francisco-based utility watchdog group The Utility Reform Network, said Sunday. "Their lights are not going to go out. The little blue trucks are not going to stop coming when something goes wrong." What bankruptcy might do in the long term, according to Spatt, is force consumers to pay more, just as they did after the utility filed for Chapter 11 bankruptcy in the midst of the energy deregulation meltdown of 2001. 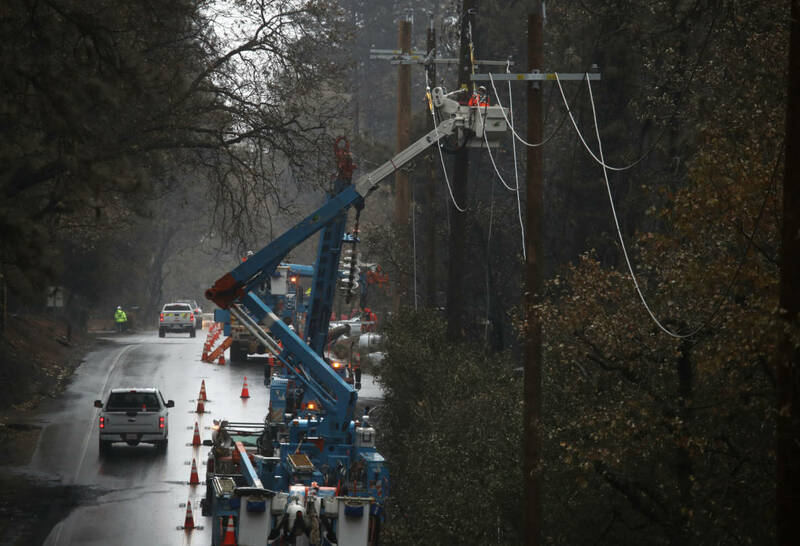 "Basically, what ended up happening is that our rates went up to cover PG&E's debt," Spatt said. San Mateo County state Sen. Jerry Hill said Sunday that legislators will work to protect ratepayers. "PG&E will do what they always do, and that is to act in their best interest, regardless of the consequences," Hill said. "But that's why we have an important role to play in state government to make sure that ratepayers are protected, that workers are protected and that we not be saddled with a long debt." One of the big questions now facing PG&E is whether it will be broken up into smaller utilities, for instance by splitting its gas and electric operations into stand-alone companies. That's a move the company has reportedly contemplated since last summer and one that the California Public Utilities Commission will discuss as part of a range of possible regulatory actions. "The future is definitely in question," said UC Berkeley Professor Severin Borenstein. "Somebody is not going to get their money. In the longer run, the state is considering other alternatives than a large, investor-owned utility."